For a long time, people in Japan lived in harmony with nature, and local traditional culture and customs involved using the blessings of nature (ecosystem service) wisely. In Satoyama-satoumi, people respect nature and nature provides people with a means of livelihood. It is a model for living in harmony with nature. At the 10th Conference of the Parties to the Convention on Biological Diversity (COP 10) which was held in Nagoya, Aichi Prefecture in 2010, the importance of protecting a natural environment that has been formed and maintained under the influence of human activities was formally recognized as the “Satoyama Initiative” in the Convention on Biological Diversity (CBD) by the leadership of the Japanese government. 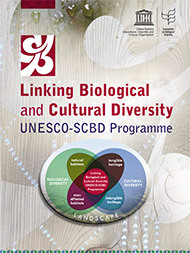 In addition, at COP10, UNESCO and the Secretariat of the Convention on Biological Diversity launched joint program linking biodiversity and cultural diversity. This joint program aims to focus on the relationship between indigenous people’s rights and culture and the ecosystems in the region, and to preserve indigenous people’s traditional ecological knowledge and ecosystems comprehensively and effectively. "Linking Biological and Cultural Diversity"
The GIAHS program, which has been promoted by the Food and Agriculture Organization (FAO) of the United Nations, involves certifying agricultural systems that have been maintained for generations by adapting local, diversified natural resources based on regional knowledge and experience. The criteria for certification include that the system must maintain biodiversity and the functions of ecosystems, and form an outstanding regional culture and landscape, in addition to having the fundamental function of food production. In 2011, Noto was designated as a GIAHS site; it became the first such site in a developed country. The UNESCO “Man and Biosphere Programme” was launched in 1971 for the purpose of preserving biodiversity and supporting sustainable development and academic research. Now, 669 sites in 120 countries have been designated. Since 1995, “transition zones,” where people develop the local economy and society through the use of nature, should be included in addition to the core zones and buffer zones. The idea behind these initiatives is that life in harmony with nature should be promoted. Thus, the concept of co-existence with nature is integral to Japanese traditional culture, which has a long history. This way of life has been identified as one of the ways of achieving sustainable development. In Ishikawa Prefecture, there are sites that have been internationally designated by the above programs, which people are vitalizing through preservation of nature and culture while dealing with various issues. OUIK has been engaged in three major activities; Satoyama and Satoumi (SAS), City and Biodiversity (CAB), and Sustainable Primary Industry (SPI). SAS is a project to comprehensively map information related to Satoyama-satoumi in Ishikawa Prefecture and the Hokuriku region. The CAB project involves studying biodiversity in urban areas. For the SPI project, we examined the influences of the designation of Noto as a GIAHS site. In March 2015, we completed the CAB project and reported on “Biocultural diversity ⎯ the Ishikawa Kanazawa model” as our research results. In 2015 we integrated various activities carried out under a large umbrella of preservation of biocultural diversity, made policy proposals through collaborative activities, supported implementation of the policies, disseminated them to the world and received feedback on them. 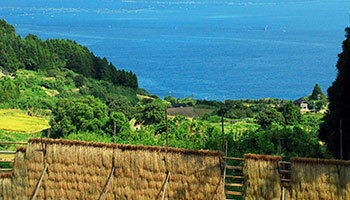 We wish to contribute to the preservation of biocultural diversity and the training of human resources in Ishikawa. 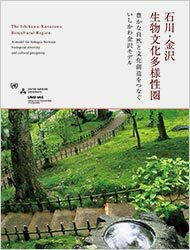 “Biocultural diversity⎯the Ishikawa Kanazawa model” takes into account distinctive way of thinking, including various levels of bonding, and includes a platform to promote adjustment and a synergistic effect, in addition to comprehensive preservation of rich biodiversity and cultural diversity. A model for Linkages between biological diversity and cultural prosperity. 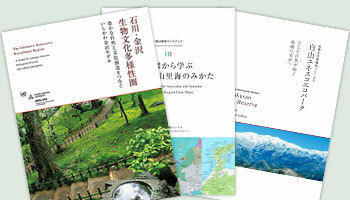 Some examples of the above are a comparison of GIAHS and the Man and Biosphere Program, the connection between agricultural villages as production sites and urban cities as consuming sites, the establishment of a new relationship between a creative city (Kanazawa) and peripheral agricultural villages, collaboration with people belonging to different sectors, cooperation with different levels of administrative organizations, integration of education and activities, etc. These were often regarded as different concepts and treated separately. However, it is possible to consider and implement them comprehensively in Ishikawa Prefecture because it is a region blessed with nature, culture and history. We would like to disseminate the information we have obtained through our activities to the world in order to contribute to the Convention on Biological Diversity and Sustainable Development Goals.